Plant for the correct treatment of refrigerators and electronic cooling appliances in general. FORREC produces systems for the correct treatment of WEEE in the R1 category: refrigerators and electronic cooling appliances in general. This type of waste may prove to be hazardous if it is not treated with due care. The danger of such appliances is due to the presence of refrigerants that are harmful to the atmosphere (CFC, R21, R22 and R600). FORREC develops and produces customised plants for the complete recovery of refrigerators. 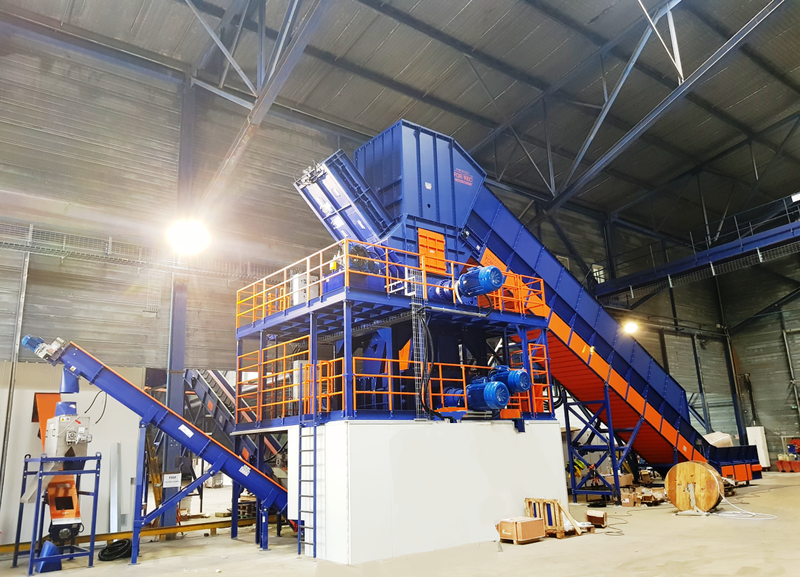 The systems produced have zero environmental impact and can guarantee: air flow control, control of dust from grinding, soundproofing of components and the recovery of hazardous gases.